The GT75 Titan is the first gaming laptop ever to feature an Intel Core i9 processor with what MSI calls ‘hexa-core performance.’ The laptop comes with a fully unlocked Core i9 chip, allowing gamers to make maximum use of the six cores, which will especially benefit gamers who like to stream their games. Plus there are two Nvidia GeForce GTX 1070 GPUs in SLI inside this thing. Along with that, the GT75 Titan comes with an RGB mechanical keyboard. 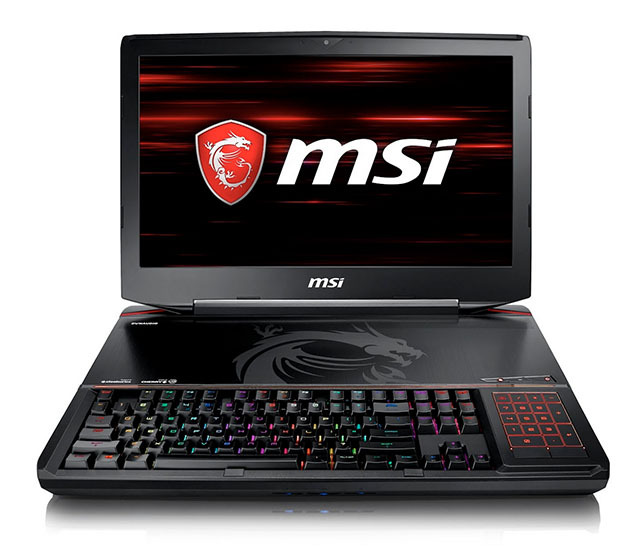 The MSI GT83 Titan is what MSI is billing as a laptop that ‘packs full desktop gaming experience in a mobile powerhouse.’ The laptop features top of the line Core i7 processor with 6 cores that provide a performance boost of over 40%. The GT83 Titan also features two Nvidia GeForce GTX 1080 GPUs in SLI for extreme performance with any game you want. 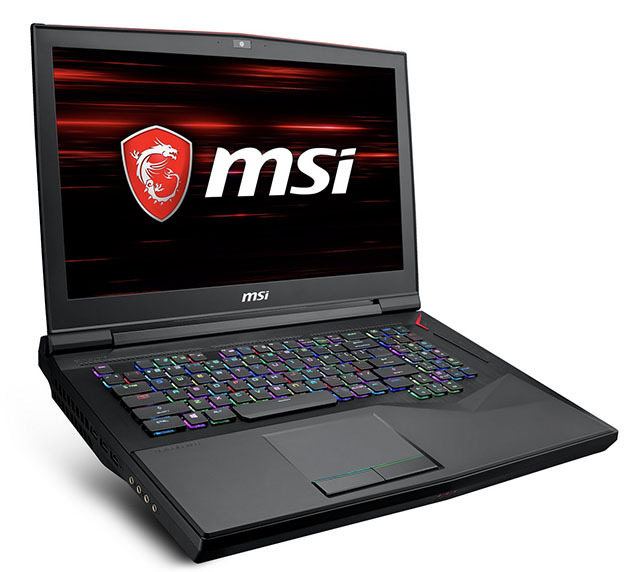 The MSI GT63 Titan is built upon the renowned GT62 series of gaming laptops from MSI, and it looks to have improved in both looks and performance. The laptop now features the latest 8th-gen Intel Core processors (upto Core i7) along with Nvidia’s GeForce GTX 1070 or GTX 1080 GPUs for all the graphical power your gaming needs may require. The laptop also features an individually-lit RGB mechanical keyboard from SteelSeries so you can expect amazing keyboard performance in all your games as well. Along with all the amazing hardware, MSI’s laptops come loaded to the brim with MSI’s custom gaming-oriented software, including Dragon Center 2.0 that lets you customize everything about your laptop’s looks and performance such as lightning optimization, performance optimization. The laptop’s display is a 120Hz refresh rate with a response time of just 3ms.